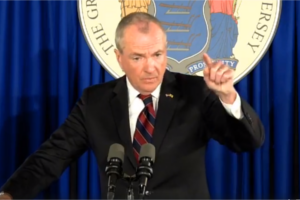 The New Jersey Business & Industry Association continues to call for a veto of legislation that will lead to undefined fees on overburdened New Jersey residents and businesses based on the amount of impervious surface on their properties. S-1073 is now on Governor Murphy’s desk. While there are differences of opinion between opponents and supporters of the controversial bill on whether to call it a “rain tax,” there is no ambiguity that it would create local authorities to impose fees based on the amount of impervious surfaces – patios, parking lots, driveways and roofs – on residential and commercial properties. “Not only does this legislation add yet another tax on our overburdened residents and businesses, but there is no language that defines how much people will be charged or how the funds generated by it would actually solve the stated problems,” said Ray Cantor, NJBIA Vice President of Government Affairs. Don’t Miss This Opportunity to Urge Governor Murphy to Veto the Rain Tax. Click Here to Use Our Online System. Under the current language of the bill, potentially 565 individual municipalities could charge fees within their own boundaries without having to consider how sewerage systems and stormwater in neighboring towns affect their projects. A county could also decide to have a stormwater authority, potentially forcing property owners to deal with two bureaucracies and fees for the same property. Municipal stormwater (MS4) permits have already been issued and compliance is occurrring without the need for new taxes. Cantor added that the legislation does not address stormwater maintenance issues under the New Jersey Department of Transportation, a major stormwater operator throughout the state and in the Barnegat Bay watershed. And a new tax, if implemented, still will not stop flooding in areas subject to tidal flooding or in areas with chronic flooding like the Passaic River Basin.